This track skirts Moturua Island, and you can join the track at any of the main beaches. You will walk through grassed open areas and enjoy the cooling reprieve of passing underneath a tree canopy. Crossing ridges, the track descends to four, very different beaches, ranging from soft sand to pebble. Along the track you may hear North Island Robin or see New Zealand Dotterel on the beaches, so please remain on the track at all times. Getting there Moturua Island Scenic Reserve is situated in the central Bay of Islands. This loop track can be accessed from four of the main bays situated around the 136 ha island. 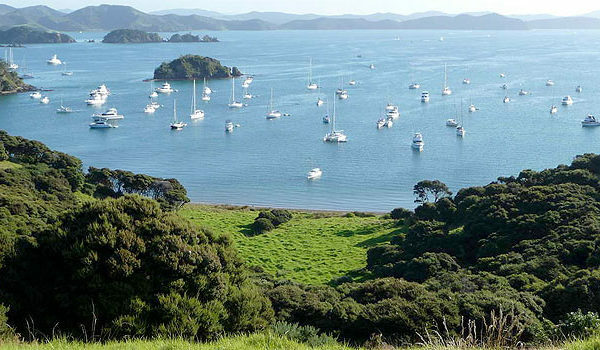 The four main bays, Otupoho, Waipao, Mangahawea and Waiwhapuku all offer safe anchorage for visitors.